We used data and science to determine the places in Nebraska where everyone sleeps safe and sound. Editor's Note: This article has been update for 2019. This is our fifth time rankings the safest places to live in Nebraska. For a lot of people who live in the fine state of Nebraska, safety isn't a problem, but we don't all get to live in the safest cities -- unless of course you live in Madison. 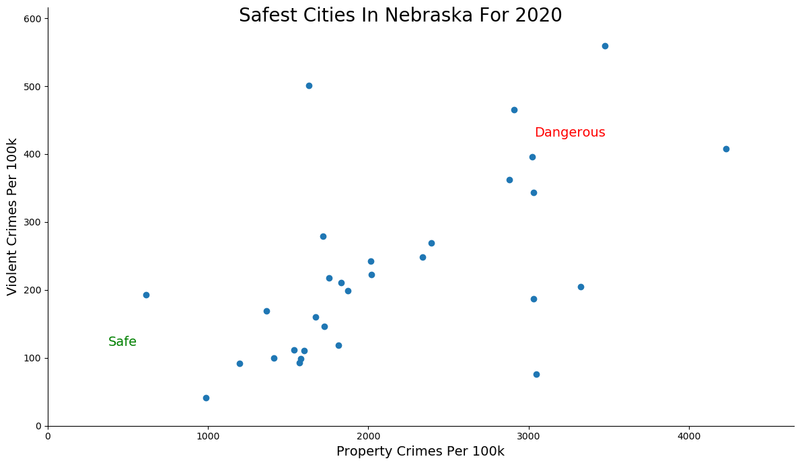 The purpose of this post is to determine where the safest cities to live are in the Cornhusker State. Those places where crime is usually something you hear about on Facebook, but not from your local paper. In all, we analyzed 12 cities in Nebraska with a population of more than 2,000 using the latest FBI crime data. So what's the safest place to live in Nebraska for 2019? According to the most recent FBI UCR data, Madison ranks as the safest place to live on a violent crime and property crime rate basis. While there are surveys and public polls on what cities in a state are the safest, we didn't want to rely on speculation and opinion. Instead, we looked at the hard numbers from the FBI's most recent report of crime (Sept 2018) in Nebraska. For example, there were a total of 5 crimes committed in Madison which had a reported population of 2,358. That means the number of crimes per capita is 0.0021 which translates into a 1 in 471 chance of being the victim of a crime. We only looked at cities that have populations of more than 2,000 people reported to the FBI in 2017. This left us with a total of 12 of the biggest cities in Nebraska to rank. We ranked each city for each criteria from 1 to 12 where 1 in any particular category is the safest. Next, we averaged each places two criteria to create a Safety Index. We crowned the place with the lowest overall Safety Score "The Safest Place In Nebraska". The safest city, based on our criteria, is Madison. The most dangerous city in Nebraska? Omaha, where residents had a 1 in 22 chance of being the victim of a crime. Welcome to Madison, our number one safest city in Nebraska for 2019. It's so safe in this little city in eastern Nebraska, that the bobcats are always showing their faces at the same time every evening reminding the residents to get home before dark. Thanks little kitties! We're pretty sure we can all agree that Madison is crazy safe cuz there's nothin' to do in the 402. You won't find Milford, Nebraska in the middle of a Biggie Smalls song, it's actually quite the opposite: it's safe. 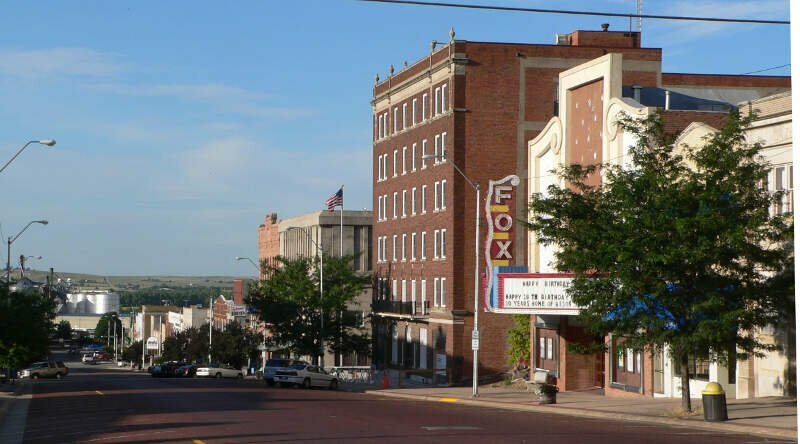 With a little over 2,000 residents, the superb quality of life in this little city in Seward County is the reason that it is our number two safest city in Nebraska for 2019. Where Nebraska State Road 20 meets Nebraska State Road 281 is our third safest city in Nebraska for 2019: O'Neill. And kudos to this fly-over city, their snackability rating is off the charts with their low crime and high safety score! Their number of strong job market scored an 8.5/10 and their education rating a 7/10! Busy people = less naughty people. If that doesn't say safe, we don't know what does. It doesn't end there, folks. O'Neill is so safe, that the only crime here is a bad haircut or dipping your Omaha Steak in ketchup. Yuk! Cozad is all ears...corn ears, that is....Nebraska gold. It's that same gold that has launched this Dawson County city into safety stardom: our fourth safest city in Nebraska for 2019 to be exact. 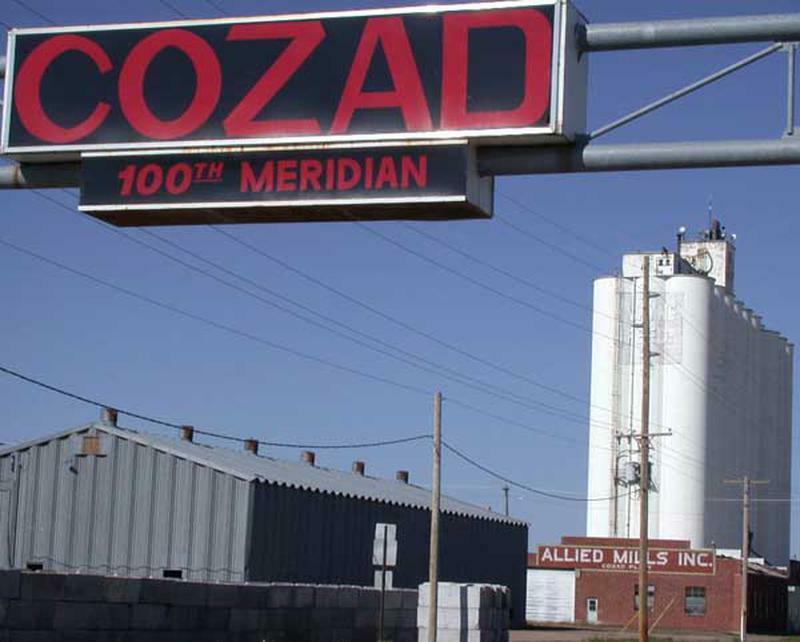 Nestled along the Platte River, Cozad's small city charm delivers big opportunities to all that are searching for a safe place to call home. They claim to be more then prepared to show you that good 'ol hometown pride that makes the middle-of-nowhere America famous and safe. Yes, folks, it's that friendly and that safe. If you're not rooting for Nebraska Cornhuskers, you're a nobody. And if you're a nobody, then you can't take advantage of everything our fifth safest city in Nebraska for 2019 has available. Valley scored off our charts. Eights across the board for education, available jobs; and of course, safety. In York they love their wide open spaces, their parks, their safe neighborhoods, their corn and beef cuisine, and their trucks with gun racks. We all know nothin' says safe like showin' up to the annual 'Yorkfest' with your gal by your side and a newly mounted rack, right? And kudos to York, their snackability rating is off the charts! Their number of amenities scored 8/10 and their education rating an 8.5/10! York has a strong sense of community with a big city focus. Check it out! We're pretty sure you will want to call our sixth safest city in Nebraska home. 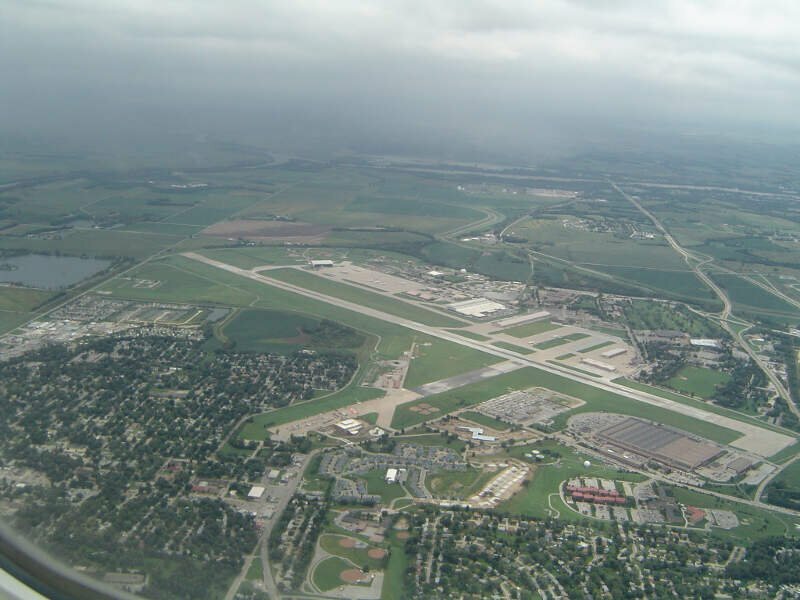 Bellevue is a small city between Lincoln and Omaha in Sarpy County. It's another perfect city when you are looking for the "corny" Nebraska vibe. It's also the perfect place to escape real life when you need a break. But don't worry, they won't let you wander too far off cuz you might get lost in a cornfield, and that wouldn't be safe. Norfolk's residents say that this city is as sweet and safe as a bowl of Nebraska corn puddin'. They should be considered the 'Pride of The Cornhusker State'. So it's no surprise that they keep moving up our list, to be our ninth safest city in Nebraska for 2019. And, it's definitely not shocking that they scored an 8/10 safety rating. When Norfolk residents aren't busy cheering for the Big Red, clearing their cornfields, or hanging at their favorite runza shack, they can be found putting up those "Drive like your Kids Live Here" signs. You' have some serious safety game, Norfolk! Rounding out our safest cities in Nebraska for 2019 is number ten, Crete. They crushed our snackability scale with a gold star job ranking and an education score that makes most of the cities in Nebraska look like chump change. Smart people know that working hard creates a safe, productive environment necessary for a small city to survive. If this doesn't make you an "Crete Believer," check out our story "The 10 Best Places to Raise a Family in Nebraska". This Saline County city truly is the entire package. Looking at the data, you can tell that Madison is as safe as they come, according to science and data. But as most Nebraska residents would agree, almost every place here has its safe and not safe parts. So just make sure you're informed ahead of time.